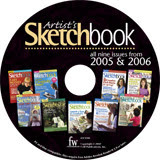 Does anyone remember "Artist's Sketchbook" magazine? My sister gave me my first copy several years ago. It was totally devoted to sketching and had tons of great information. However, it's no longer in print. But, not to worry--issues & content from 2005-2006 are now on CD for $20. Put this one on your Christmas list. Update 12.26.07 -- I received this CD for Christmas, and it's incredible. It's everything I thought it would be and more! 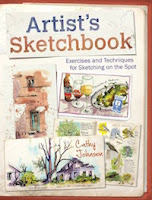 I highly recommend this resource for all of you that sketch, draw, paint, scrapbook, or create illustrated journals. The image quality of this electronic version is superb, and there's a search tool that's included that does a great job of finding just what you're looking for. The CD works on both Windows and Mac (all the files are .pdf and the search tool is a .pdx application). 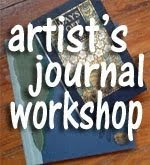 Boost your creativity and artistic inspiration in two steps: (1) order the CD and (2) start reading the articles on your computer!